Merchandise for the release of the DVD is starting to appear in different toy stores. Look for this logo for the new line of toys. I just added the following items in the Frames, Ornaments, Plates, Mugs and Pins section. These are items that I forgot to take a pic. Since I have a couple of commemorative coins and pressed pennies, I added a new Coins & Pressed Pennies section under the "Collection" area. I'll add the pennies later on the week. 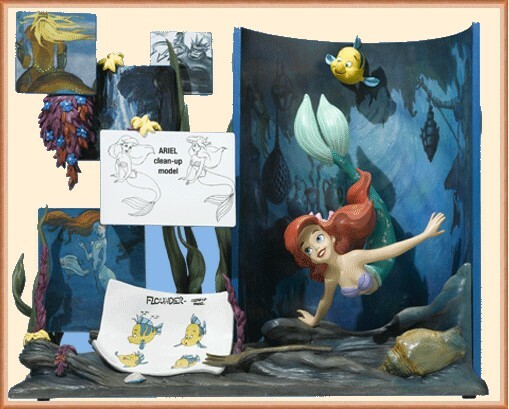 Master Replicas is already accepting pre-orders for their "The Little Mermaid Scene Replica". It's really refreshing to see new original ideas!